Choosing to homeschool - Is it the right choice for you? Choosing to homeschool is becoming a very popular alternative for parents who are looking at different approach to their childs education. There are however many different aspects of homeschooling that you must consider, before deciding if this is the right route for your child and family. Many parents with special needs children choose homeschooling as a more relaxed alternative, especially if the child if medically fragile, physically disabled or severely delayed. School days are planned around doctors visit or therapy, allowing the child to progress at their own pace without the added stress of performing at school or having to catch up the work that was missed. Parents who choose to homeschool enjoy many advantages. One of the most obvious being the educational flexibility. Introducing levels of work to you child when they are ready for it, as apposed to when the class is ready. If your child understands a concept you can move on, but if they are having trouble with a subject you can spend more time with them until they have mastered the problem areas. Another huge advantage when choosing to homeschooling is the ability to modify a curriculum to suit your Childs learning abilities. For many parents with special needs children, having control of their Childs education is very important. You are in control of teaching them concepts and ideas that will help them reach their full potential, and focus on areas that are important for them to one day live a successful and independent life. Homeschooling also allows you to protect your child from violence at schools, teasing, bulling and inappropriate behaviour that can be picked up from other students. Although there are many advantages to homeschooling, there are also disadvantages. The biggest concern most parents have,when choosing to homeschool is the lack of socialization that homeschooling children experience. This only becomes a problem if the child is taught at home and never leaves the home environment. There are many ways for you to allow interaction with other children, but this solely becomes the parents responsibility to allow for socialising outside of the home. Another disadvantage is that parents are overwhelmed when they are completely responsible for their Childs education, and it requires a lot of time and parental involvement. You will spend the majority of the day with your child, lessons have to be prepared and outings organised. Most parents throw in the towel because they didnt realise that it would be this much work. So if you are choosing to homeschool, how do you know if this is right for you? 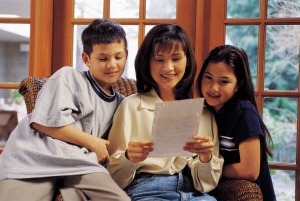 Your commitment in Time: Homeschooling will take up most of your day. Although your time is flexible, there are still household chores to be done, lessons to prepare, projects and experiments to be done, outings to plan and extra mural activities to drive your child to. Put together a schedule of what you think a typical day will be like if you where homeschooling your child. This will give you an idea of what to expect and if it will fit into your lifestyle or idea what a typical homeschooling day would be like. Your personal sacrifice: Being a homeschooling parent leaves very little personal time for yourself and hardly any time alone. You will spend the majority of the day with your child involved in various activities and outings. You have to make a point of taking some time out, and schedule this into your day; otherwise your life will consist of being with your child 24/7. Financial sacrifices: Homeschooling can be done fairly inexpensively, by sharing curriculums with other homeschooling families, and using what you have around the house for projects. Choosing to homeschool reduces the family to a one income household and sacrifices will have to be made. It is important to consider the implications of this early on if you are considering homeschooling. Socializing for you and your child: Getting your child together with other children will be solely your responsibility. The advantage of this being able to choose who your child socializes with. Find out if there are any other families in your area who also homeschool and organise day trips and play dates together. This is an ideal opportunity to take some time out. Household chores: House work still has to be done, but this will definitely take a back seat when you are homeschooling. Your days may be flexible, but you will soon realise that teaching your child at home will create more mess and clutter to be cleaned. Both parents need to be in agreement: It is important that both parents are happy with this arrangement, as it is almost impossible to successfully homeschool when one parent is against it. You will need the understanding and support of your spouse or partner, so speak to other parents who homeschool and do more research until you are both happy that this is the right choice for your family. How willing is your child to be homeschooled? If you choose to homeschool, before you even start investigating the options, talk to your child about it first. If they are not happy with the idea and wont cooperate with you, it will make all your efforts to teach them unsuccessful. Homeschooling is after all l about them, and they have to be onboard 100% for this to work. The final decision is yours in the end, but explains the pros and cons to them, and let them have a say in the final decision. Choosing to homeschool your child is not a lifetime commitment. Take it one year at a time, and see how it goes. You dont have to be a qualified teacher to successfully homeschool , and if circumstances change, or you find that this is really not for you or your child, you can always place them back into the schooling system the following year. Your childs success in their education and their ability to reach their full potential will be greatly influenced by your choices regarding their schooling methods. If you are considering homeschooling as an educational option, be sure to research all the aspects involved so that you can make the right decision for your child and family.